We’d like to hear from you. Please give us a call, or fill out the form below and we will answer your question promptly. Carlon (of Beacon) repaired our pool screen today. I want to commend Carlon on his friendly and business-like manner and craftsman work. I recognize that Beacon took an extra step in repairing the screen for me, because it is difficult to fix responsibility for the damage as Beacon’s fault. However, Beacon becomes a preferred provider of landscaping service for me, and I plan to contract landscaping work some time in the future (after obtaining HOA approval). Thanks for the efforts of all the people involved. 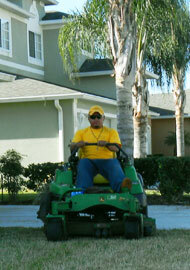 © 2012 Beacon HOA Landscape Management. All Rights Reserved.